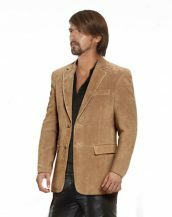 Look suave and incorporate a smart vibe into your business casual style with this classic double-buttoned leather blazer for men. 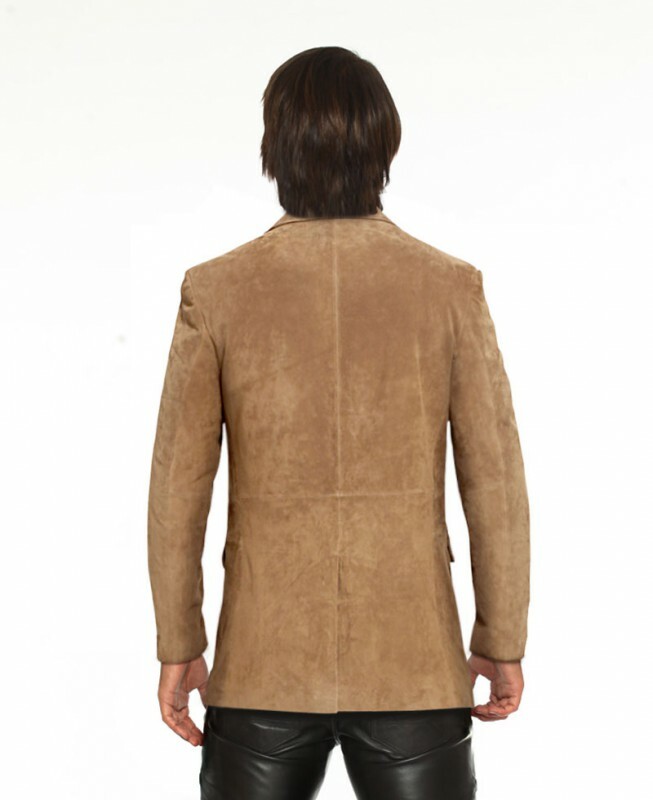 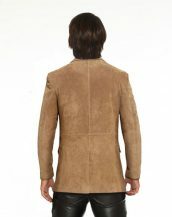 Fashioned from suede, this impeccably tailored blazer features lapel button closure, back single vent and two side flap pockets. 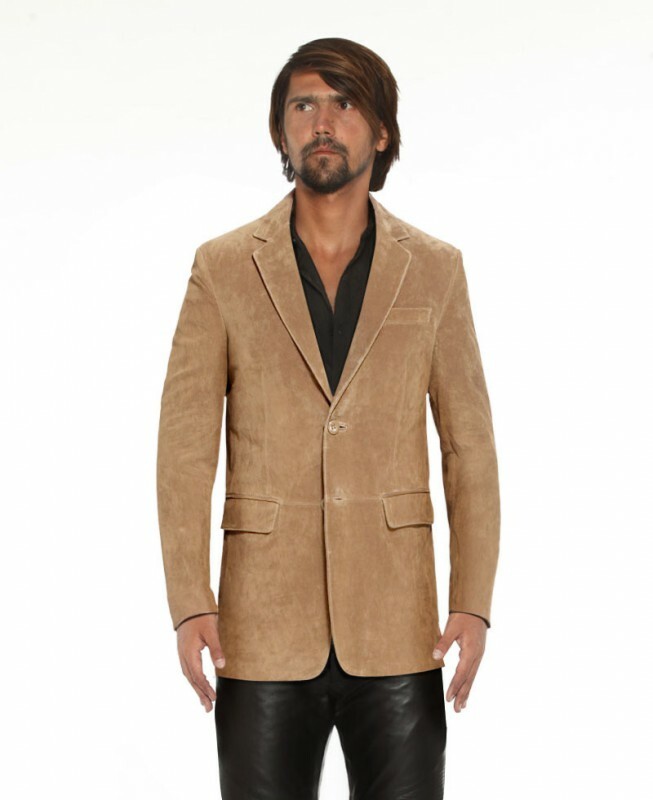 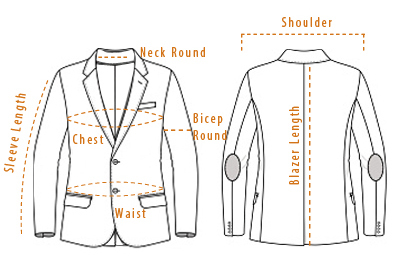 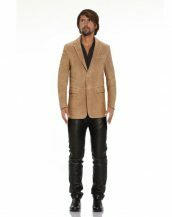 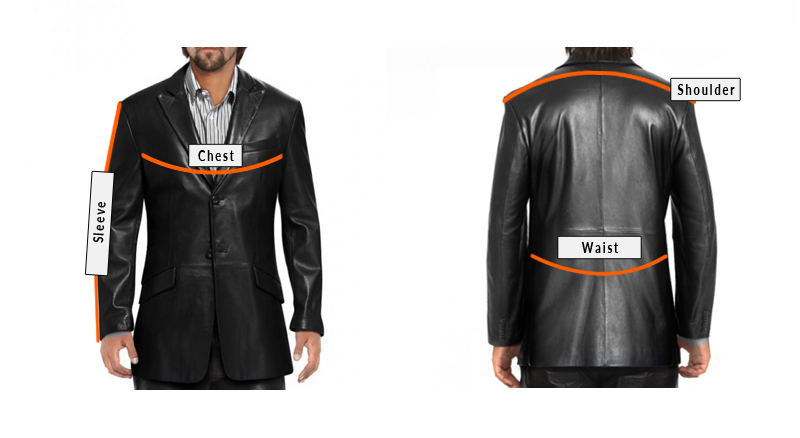 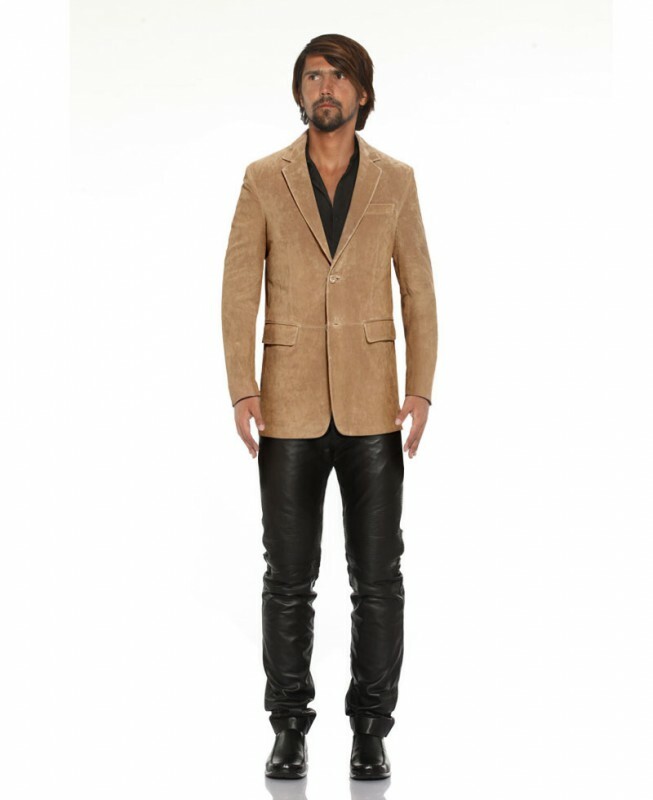 Wear this two-button leather coat mens over a light colored solid or striped shirt and black or dark pants, to make an impression wherever you go.